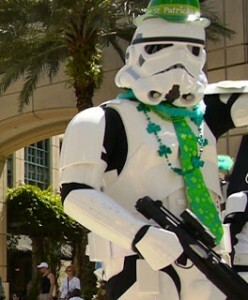 St Patrick’s Day Parades! Here are two of favorites! It is still Strawberry Season! 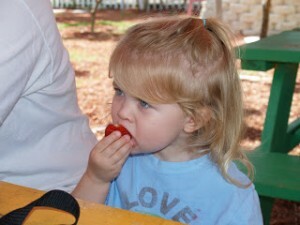 It is strawberry picking time here in Florida! (Get it? Pick of the Week?) Benders Farm (Click Here to read a Review) is now doing U-Pick Strawberries. We also love to go to UPDATE: No Strawberries at the Girls this year. It’s sad! The Girls U-Pick (Click Here for a Review) it is a lovely way to spend an afternoon, even without the strawberries though. Hiking Season! Get out in nature! Grab the chance to take the kids a little hike! Need some tips for hiking with the Family? Check out 5 Tips for Hiking with Kids or 5 Tips for Birding with Kids! We love Boca’s best secret hiking trail (Yamato Scrub Natural Area)! I also love Pondhawk Nature Center, it has stroller friendly paths and is near the playground. Daggerwing Nature Center is really nice too, loads of playground, a nice small interactive education center, and of course playgrounds! 40% Percent off for new Sponsor Partnerships in March! Don’t miss out, see our Media Kit for More information. Got a Spring Break Camp? Let us know and we will place your Summer or Spring Break Camp information on our Find a Camp page! This entry was posted in Uncategorized and tagged broward, Delray Beach, Fort Lauderdale, Kids Events, Palm Beach County, St. Patrick's Day, Weekly list by Cynthia Buckley. Bookmark the permalink.